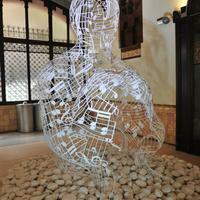 Today, 7th April, saw the opening of an exhibition devoted to Jaume Plensa at the Palau de la Música Catalana. 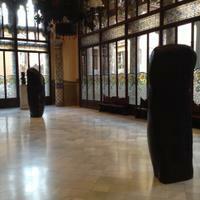 The show features four sculptures by the acclaimed Catalan visual artist, sculptor and engraver, displayed in different parts of the Palau. 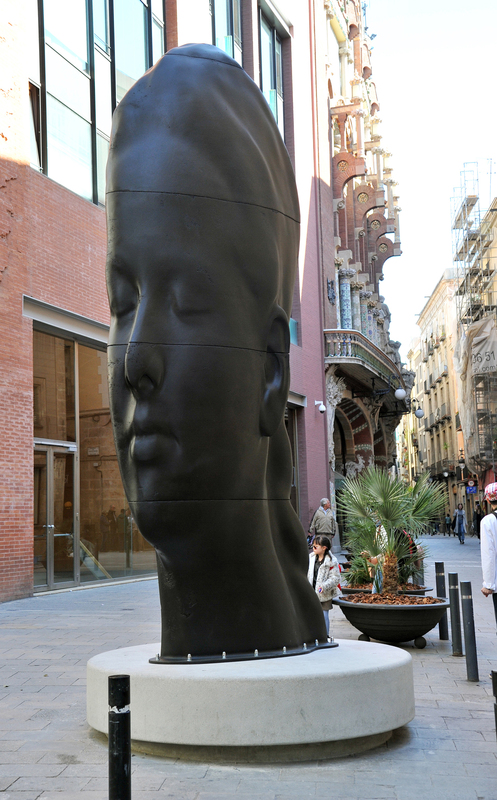 The exhibition is part of the dialogue with the visual arts organised for the last four seasons by the Fundació Orfeó Català-Palau de la Música Catalana, which seeks a dialogue with the Palau's Art Nouveau architecture, on the occasion with the sculptures of Plensa. This is a chance to bring the work of one of the most international Catalan artists to the public, even though he has not exhibited in Barcelona for many years. Visitors can see his piece Carmela(2015), 4.5 m in height and made of cast iron, outside the building (at the corner of the Petit Palau) until mid-September. The Lluís Millet room houses the bronze sculptures Sanna’s dream and Rui Rui’s dream, 2 m high, created in 2014; and in the Foyer is Silent music III, a sculpture in painted stainless steel and marble. The last three works will be on show until 16th May. With this show the Palau aims to stimulate reflection on the canons and value of the concept of "classical" for each generation. 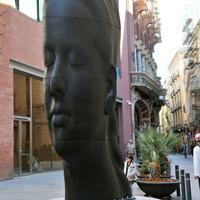 Plensa dialogues with classical tradition and references, but adds his own poetic and spiritual contribution. These are works that speak to the world; images that dream of a new world. Offering to amaze the public with their simplicity and beauty. Plensa has experimented with drawing, opera sets alongside La Fura dels Baus, video projections and sound installations. The material he works with is ideas and his points of reference are the poets Estellés,Canetti, Dante, Shakespeare, Blake and Valente. -Carmela. Outside. 7th April - 18th September 2016. Free access. -Sanna’s dream and Rui Rui’s dream. Lluís Millet room. 7th April - 16th May. Free access with a concert ticket or on the guided tour. -Silent music III. Palau Foyer. 7th April - 16th May. Free access. Hours, from 10am to midnight.